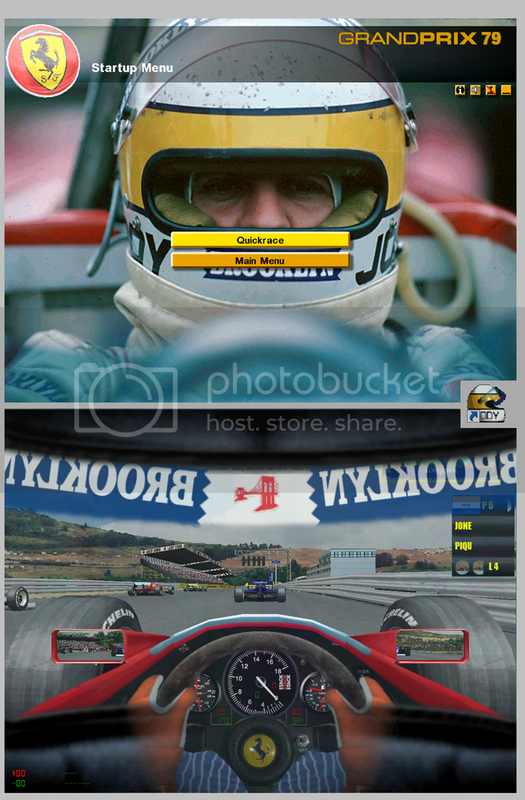 I am getting close to finishing F1 1979. Just left with updates to the track-side advertisements to do. Should be done in two weeks. Edited 2 time(s). Last edit at 01/19/2019 11:41PM by elio2012. Awesome. Eagerly looking forward to drive those amazing Ferrari s.
I am not going to get time to finish the 5% or so of the work needed to finalise this, so I am releasing this 'nearly done' version. All that is left are the track side advert changes. The tracks done are Argentinta, South Africa, Long Beach and France. The rest have ads from 1976 or 1981. I will get around to it eventually, but not soon. Enjoy it as it is for the moment. SEE FULL VERSION downloadable below. Edited 1 time(s). Last edit at 01/20/2019 05:57PM by elio2012. After a 6 month delay I can finally upload the final version of F1 1979 with all the track Jams updated to the correct track ads, as close as I can at least. A great Disco soundtrack too. Enjoy! Glad you like it quickslick! Its a great motivation to me to know people enjoy them. I am now working on F1 2018, with 1996 and 2005 next in the queue. But I do love the '80s and '70s so I might get tempted to switch to '71 and '86! I am going to revise my downloads of all my stuff in a single message board posting. Maybe today or at least soon. So look out for that. Happy racing, from just outside London. Elio2012, amazing mod. big thanks'! F3000 and Cart to add to these to get them all in one place, soon. Thanks Elio. I was busy last week. I will try them soon.